Hey everyone! :) Sorry for the delay. The votes have been all counted up & the winners have been decided. 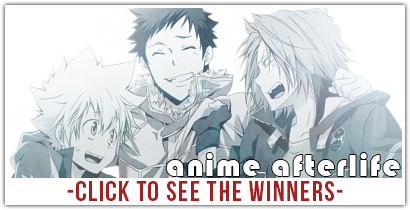 Click the banner to check out the winners or click here. The next contest will begin in the first week of October so be sure to check it out! Take care & stay true to the club! 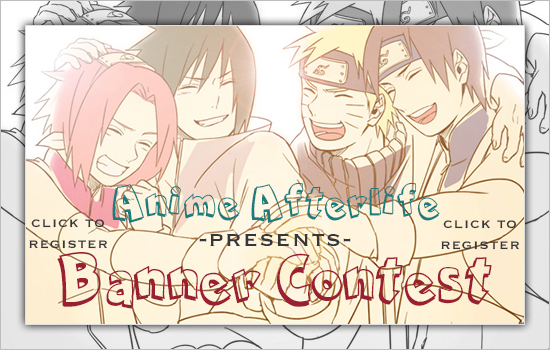 Anime Afterlife is hosting its second BANNER contest & THIRD OFFICIAL CONTEST! The theme will be 'FRIENDSHIP!' Fight for 1st, 2nd or 3rd place & create a masterpiece that will blow everyone's mind! Contests in the club are always a huge success so let's keep the dice rolling :) The club has over 1,900+ MEMBERS so your work will not go without notice! Click the banner to sign up today! 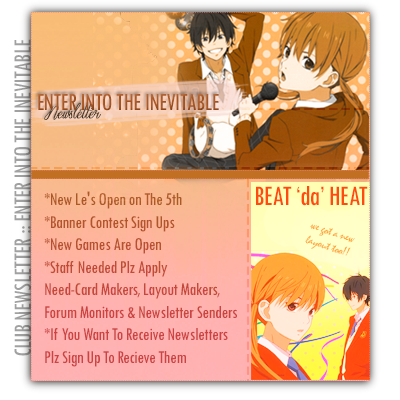 Anime Afterlife is hosting its second competition, 'Action' Banner Competition! Fight for 1st, 2nd or 3rd place & create a masterpiece that will blow everyone's mind! The previous competition was a huge success so let's try to raise the bar even higher this time! Click the banner to sign up today! 1,500 MEMBERS! 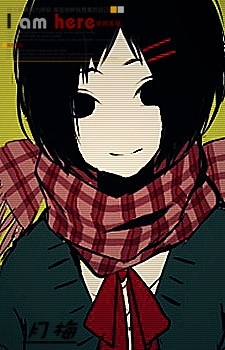 Anime Afterlife now has 1,500 members after only 4 months! This club is progressing beyond expectations & I'm grateful to all the members. In honor of reaching a huge milestone, AA has a brand new LAYOUT & has become more organized than before. Things are changing for the best! Click the banner to check out the new club layout! AA now offers 'OFFICIAL MEMBER CARDS!' Click here to request your member card today! Hurry & get them before they run out. Keep checking the club for games & other daily activites! nice XD can u draw ppl?